There were no animals in sight when I happened upon this lonely looking gnarled acacia on the edge of Etosha in the morning heat. I patiently waited with binoculars in hand, looking for birds or anything that might suggest movement as the hot wind gusted over the pan. 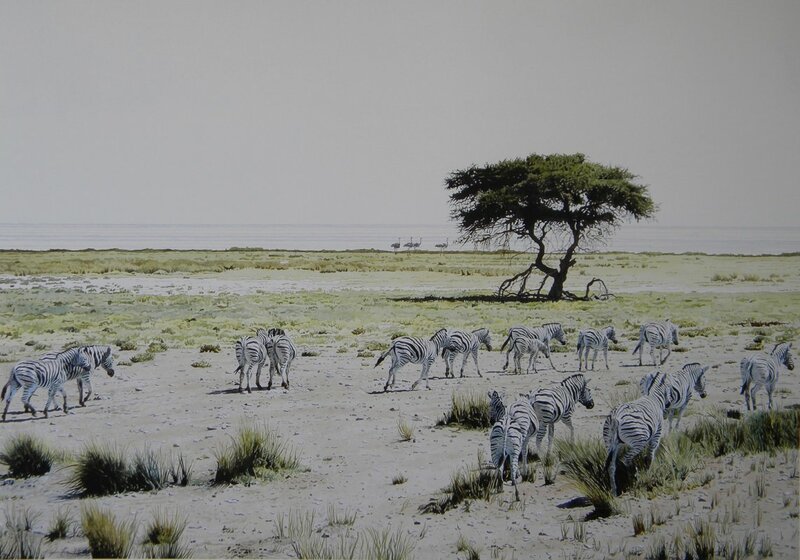 Slowly, a small herd of zebra came into view, scrabbling and kicking the dry earth and whinnying to eachother before pausng to drink from the brackish water below my perch, then moved on. I watched them, enjoying the moment and memory of it.